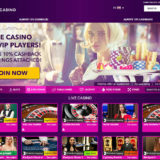 Smartlive Gaming have launched a Microgaming Live Casino alongside it’s existing live casino solution and are now one of few live casinos reviewed on live casino comparer that have gone this way. 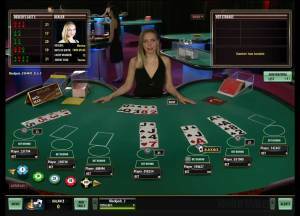 It’s advertised as the new Europe Live Casino, where Live Blackjack, Roulette and Baccarat are streamed from Microgamings live casino studios. 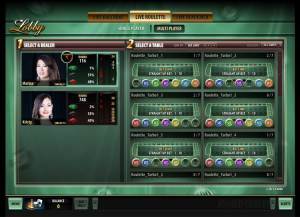 The addition of Baccarat will certainly please players who have had to wait a long time to see this return to the live casino solution of SmartLive. The new solution is the standard Microgaming offering, so if you’ve played at one of their casinos before then you’ll know what to expect. New players will find that the lobby is rather old fashioned in its presentation. 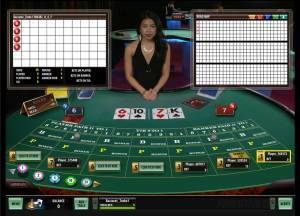 You’ll be pleased to see that there are Single and Multi Player options for Roulette and Baccarat while Blackjack is presented as a Multi player 7 seat table. Stake ranges are “compact” so should suit a majority of players. VIP’s are encouraged to use Smartlive’s own Roulette and Blackjack solutions where you’ll get a more personal service from the dealers. In terms of headlines for the new solution. The dealing room environment is very dark and quiet, the dealers are not that chatty and seem almost robotic when running the games. You’ll find that the cards in use are huge, so there is no excuse for not being able to make them out during play. That being said the games are very quick with Turbo tables existing for Roulette and Baccarat. Blackjack has 7 seats and one of my criticisms is that the tables get very busy. You do have the ability to place a Bet Behind side bet so at least you can be involved in the game albeit have no say over the playing of the hand. The bet ranges are relatively small from 10 – 250 per hand. Burn cards are taken at the start of each show and before each hand. The dealer takes one card during the deal and his second when everyone else has completed their hands. 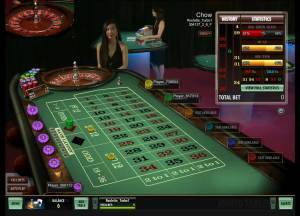 There are two options for Roulette, Single player where you’re the only one on the table or Multi Player where you can see other players at the table and what bets they are placing. Through the use of technology the same dealer and wheel is used throughout, you just have the allusion of your preferred playing mode. All normal bets are available on screen and if you’re playing in mixed mode then you get the Racetrack visually displayed at the top of the table. Baccarat comes in Single and Multi player formats. Stake levels range from 5 – 1000 and there are turbo tables for those that like faster deal times. Again you’ll notice the very large cards! I do feel for the dealers even if it does make it easier for me to see the cards when I’m playing. 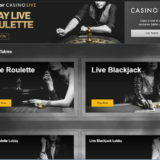 I’m not quite sure why Smartlive Gaming have added a second live casino. 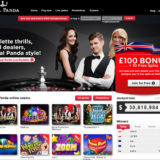 I personally thought their existing solution with its very personal service for players and the Roulette broadcasts on Sky TV was unique and very engaging as a player. If they’re aiming for volume then the Microgaming solution will give them that. I’ll be happy if that leaves some spare seats available on their London VIP blackjack table!.